We are excited to announce that Relief Riders International has been selected as a top 10 finalist for the 2010 United Nations NGO Positive Peace Award. The announcement of our nomination for the United Nations NGO Positive Peace award earlier this month sparked a lot of interest and heartfelt support from all of you. Thank you so much for all of your e-mails! Receiving e-mails from people I have met or been in touch with at all stages along this seven year journey is a beautiful reminder of how grateful I am to have your presence in our work. We will keep you updated on the progress of the awards as we are supportive of the United Nations Positive Peace awards and their acknowledgment of companies working for positive change in the world. The easiest way for us to do this is through our Relief Riders International Face Book page. We regularly post news updates and photos of our work in India. Over the years so many of you have expressed wanting to come with us on our Relief Rides but were not interested in riding a horse. 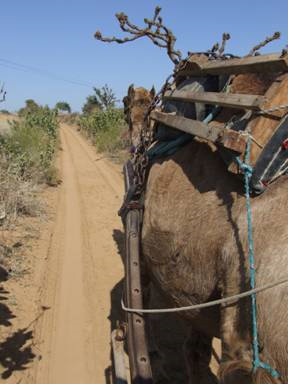 This year we specifically incorporated a Camel Caravan journey for non-riders into each of our three Relief Rides. 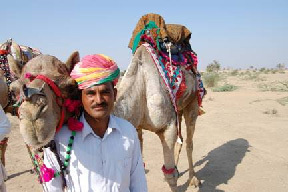 The Camel Caravan journey offers the individual, or family, a colorfully unique and authentic opportunity to immerse themselves in culture, landscape and travel with a purpose through the Thar Desert of Rajasthan. Spaces on the Camel Caravan are limited and the price is less expensive than our Relief Ride horseback trip fees. Please visit our Camel Caravan Journey page on our website for more detailed information. We hope you will consider joining us on one of our three Relief Rides this winter. Again, and as always I look forward to hearing from all of you. "life is not made of years, but the sum of moments. some are glorious, others are dark. in the end, it is the sum of those moments that define you. and it's up to you whether those moments bring light or more darkness. whether they help those who want war, or those who have the horror of war. and therefore the choice is always in your hands." --Elie Wiesel, Nobel Laureate and Holocaust Survivor on the 17 September 2010 at the UN International Day of Peace youth conference.